The exercises "East-2018" and the transfer of "Buryat" tanks T-62 to the borders with Ukraine. What is the connection? 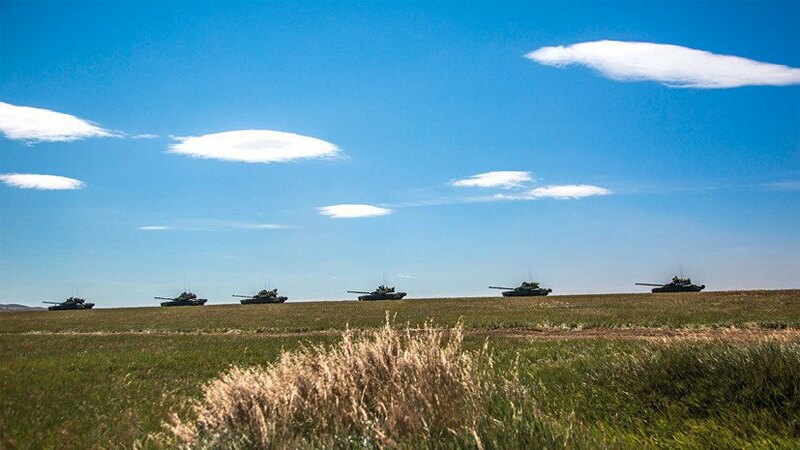 Under the cover of the largest in the last 37 years of military-strategic exercises "East-2018", tanks from Buryatia are tied to the borders with Ukraine. Probably, they will soon replenish the park "1 and 2 corps of the LDPR", which are based in separate occupied regions of Lugansk and Donetsk regions. Or they will appear in other "hot spots" of the world. In the Far East of Russia military-strategic maneuvers "East-2018" started, which will become the next annual check of combat readiness and results of combat training of the Russian armed forces. It is noteworthy that on the background of preparation for exercises, a week ago in the media an investigation has been launched, in which the "illumination" of the transfer of a large number of armored equipment from Buryatia to uncontrolled Ukraine territories of Donetsk and Lugansk regions. T-62 tanks, which were adopted by the Soviet Army in 1962 year, were in sight. For 10 days before this, at the training ground in the district of the Divison (Buryatia) station, the forces of the Eastern Military District (ВВО) of the Russian Armed Forces removed the long-term storage of the same tanks (under the guise of logistics training) and loaded onto railway platforms supposedly sent for troops. The Russian grouping in the east of Ukraine after the four and a half years of the war will not surprise anyone: at the moment, the "tests" of the Donbass are practically all the modern and not very examples of armament of the Russian Federation: from tanks and armored cars to unmanned aerial vehicles, radio-exploration systems and REB. However, the transfer of such a number of 60-twin trains (most of the tanks are not even equipped with dynamic protection and, most likely, need major repairs) takes place against the background of the largest in the last 37 years of the military-strategic doctrine Vostok-2018. Therefore, this fact raises questions that need to be addressed in more detail. Vostok-2018 exercises: who is the real opponent? Announcing the military-strategic exercises Vostok-2018 the most extensive since 1981 year (then, in order to intimidate the NATO of the USSR, carried out maneuvers "West-1981"), the Minister of Defense of the Russian Federation Sergey Shoigu was absolutely right. The exercises involve more than 300 thousand troops, more than 1 thousands of aircraft and helicopters, more than 35 thousand BCM to 80 ships and vessels of the North Pacific Fleet. The active phase of the exercises will be held from 11 to September 17 on five general test ranges, four airborne and air defense polygons, in the waters of the Okhotsk and Bering seas, Avacha and Kronotsky bays. After the planning and training of the troops, practical actions will be taken to inflict massive air strikes, combat cruise missiles, defensive, offensive, raid and outbound actions. In the waters of the Sea of ​​Okhotsk and the north-western part of the Pacific Ocean, tasks will be performed to repel strikes by means of an air attack, inflict damage on ship's groups and forces of naval landing. Aviation will take part in the drawing of episodes supporting the offensive of the land forces and the defense of the sea coast. Airplanes and helicopters will carry out the application of rocket-bombing strikes with the use of aviation means of destruction. The active use of robotics, unmanned aerial vehicles, landing of airborne paratroopers, the actions of the mobile brigade, and the development of other tactical methods are planned. At the same time, for conducting exercises, the transfer of troops and equipment to distant distances (over 6000 km) from the western regions of the Russian Federation for the Urals and the Far East will be conducted. Despite the statements of the military command and the Ministry of Foreign Affairs of the Russian Federation that maneuvers are not preparation for a large-scale conflict and are not directed against other countries, it is obvious that exercises, besides a purely military aspect, have a powerful political background. The Russian leadership is trying to send a signal to the West (primarily the United States and Japan) that the armed forces are fully prepared for large-scale hostilities in any strategic direction, and for this there is a whole set of means: from conventional weapons to a nuclear component inclusive. To intensify the effect, Moscow even used the Chinese factor: at one stage, military operations with the participation of the formation of the People's Liberation Army of China (NOAK), which participates in such exercises for the first time, will be fought at the Tsugol range in the Trans-Baikal region. The appearance of PLA in maneuvers is due to two factors: first, it is important for the Kremlin to demonstrate to the world community a kind of military-political alliance with China, whose support the Russian Federation is trying to secure in a confrontation with the West. Second, Moscow seeks to show to Beijing that the teachings are by no means an anti-Chinese orientation. In turn, the PLAC performs a number of its tasks: the Chinese military increase the combat capability of units in the Russian theater of military operations, and intelligence units study weapons, combat capabilities, real state and tactics of the Armed Forces of the Russian Federation. Why do maneuvers in the east, if the threat is supposedly in the west? The East-2018 reveals a significant flaw in the Russian military strategy: according to the Military Doctrine of the Russian Federation, the main dangers are the build-up of NATO's military capabilities, the inclusion of new members, and the deployment of Allied military assets near the Russian borders. The question arises: why carry out such large-scale exercises in the Far Eastern operative direction, if the main threat, based on modern Moscow rhetoric, is in the West? In the Kremlin, it was always understood that the real military danger does not come from the peace-loving Europe, Ukraine or the Baltic states. But most likely, obvious and permanent threats in their soft underbrush of Central Asia and the Far East are very brightly manifested right now. The problem is that by artificially creating the image of an enemy in the West, the Kremlin concentrated on the most modern weapons in the South and West military districts, and left the weak Central and Eastern military districts. Even with evaluations of Russian specialists (the Russian edition of the Military Industrial Courier), the Central Environmental Bureau and the Second World War are called "museum": "If the defense of the country is secured to the west of the Urals in a satisfactory manner, then all in the east of it is a minus sign." The critical issues for the Central Air Force are the insufficient number of aircraft of the front aviation, the lack of modern models of ground technology, the lack of weapons due to the transfer of technology to the west to participate in the war with Ukraine. VVO, in spite of separate admissions, also remains the "museum of antiques". In the region, kotoryya prostyraetsya to 2,7 Million kvadratnыh miles and vkljuchaet Kurylskye Islands, Sakhalin and Peninsula Kamchatka still okay veschey BMP-1 production 1960 gg., ATRA "Competition" 1970-ies., ZSU "Shilka" (neэffektyvnaya against high-flying targets) and other samples that had long been forgotten in the western part. Huge spatial "holes" are also available in ground air defense, which is also updated much more slowly than in the west of the country. The special edition believes that the only opponent in the territory from Baikal to Vladivostok is the PLA, which, given the latest results of the military reform in the People's Republic of China, is very difficult to resist the Russian troops. "You can, of course, lomat ubohuyu Start with propahandystskuyu Comedy Story of" stratehycheskom partnership "and of volume, something China is not uhrozhaet nychem us, but This Even more than unseemly, something beskonechnыe rasskazы at smertelnoy threats storony natovskyh klounov co-ympotentov. In addition, then there is a purely formal question: why do we have so many military units along the border with the "partners"? However, these parts are obviously not enough in quantity, but with the quality of weapons and equipment there is a complete catastrophe ", - the author concludes. Where and why are the T-62 going? Obviously, the Russian leadership has realized its strategic mistake and is trying to fix it under the cover of the teachings "East-2018". Perebroska Technics and podrazdelenyy with YUVO and ZVO on Tsuhol Ranges for conducting maneuvering Containing skrыtuyu part zamыsla: to Replace ustarevsheho "metalloloma" (in pervuju Queue tankovыh and motopehotnыh dyvyzyy) TSVO and TSB to more than vooruzhenye Modern IZ parts ZVO and YUVO. To the west, in return, T-62 tanks withdrawn from storage will be taken, the trains with which they have already arrived in the Kamensk-Shahtinsky Rostov region. 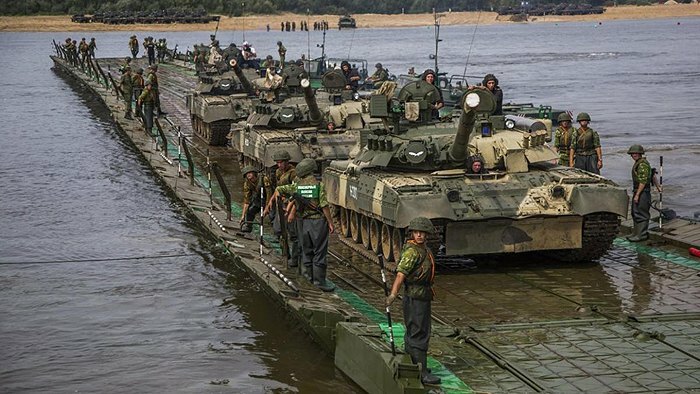 Thus, the task of replenishing the incomplete number of tank and motorized rifle parts and connections in the western direction, which at the moment is not threatening, will be solved. In addition, based on the Minsk Agreements that the Ukrainian Army is connected in one way or another, as well as the presidential and parliamentary elections in 2019 year, the probability of carrying out an offensive operation from the SCU is close to zero. Therefore, T-62 can enter into armored vehicles in the so-called "1 and 2 Army Corps DNR / LNR", And the T-72s located there will be deployed to the east. The second: the fact of the T-62 appearance on the Donbass may be used by Moscow for an information campaign against Ukraine: they say, there is no Russian technique in the Donbass. And T-62 is a technique left by the SCU or captured by local miners and tractor drivers (Ukraine never produced "sixty-two", but after the collapse of the USSR we inherited about three hundred of these tanks). This thesis may well be used by Russians to negotiate with European partners for the purpose of weakening sanctioning pressure. And the OSCE mission on the Donbass will simultaneously record the presence of armored combat vehicles in the field of storage, which means that it will draw conclusions about the alleged compliance of the Minsk accords with terrorists. Third: it is possible that some of the tanks will be delivered to the hot spots. For example, the government's armed forces in Syria, which at the moment form a large grouping for the offensive on the province of Idlib. Taking into account the peculiarities of conducting the PTS, the appearance of T-62 in other conflict zones, for example, in Libya or the Sudan, in whose arms "sixty two" still have remained since Soviet times, is not ruled out. Lóránt Győri / Political Capital (Budapest): "How Hungary became a weapon of Russian disinformation"
Anar Valiev: "Azerbaijan in geopolitical turbulence around the South Caucasus"